Are you holiday ready? There are two things that I need to get holiday ready. Both include something red, of course! 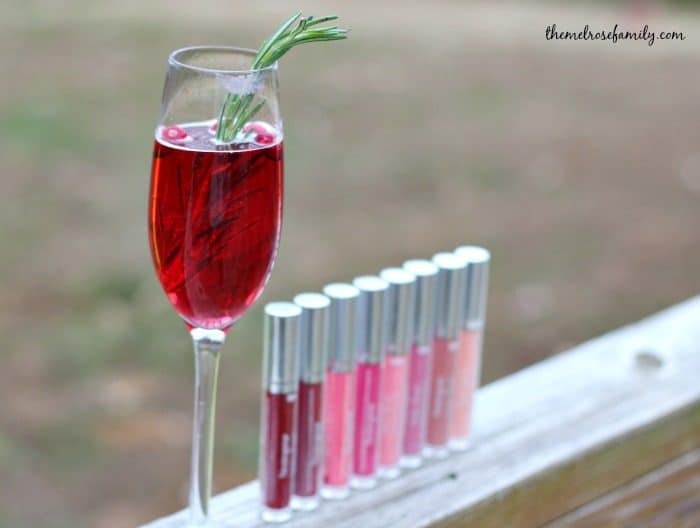 The first is a signature holiday drink, which this Cranberry Prosecco Cocktail definitely is. 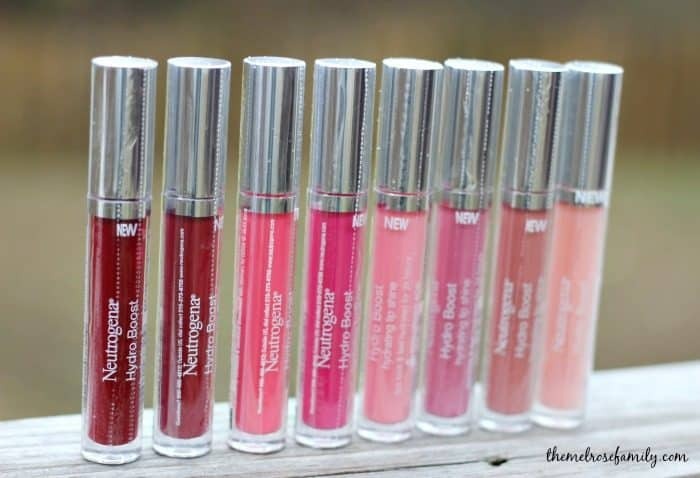 The second is some gorgeous hues of lip color. 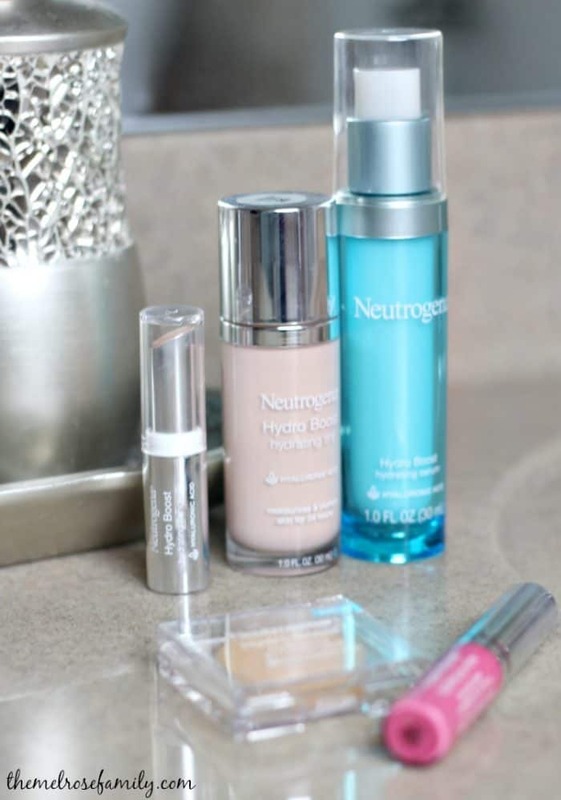 Thanks to Neutrogena that just got much easier! This is sponsored by Neutrogena, but all opinions are my own. This is our second year of celebrating Christmas in Charlotte, NC. The weather down here is still fabulous. We take walks at night to look at the Christmas lights. We literally broke out the winter coats last week for three days and they’re back in the closet already. It’s just so nice here that you still get to enjoy outdoor activities, which my girls and my skin love. I used to have dry skin the second it turned October 1st in NY. In Charlotte it’s just not cold yet for it to be a major issue. 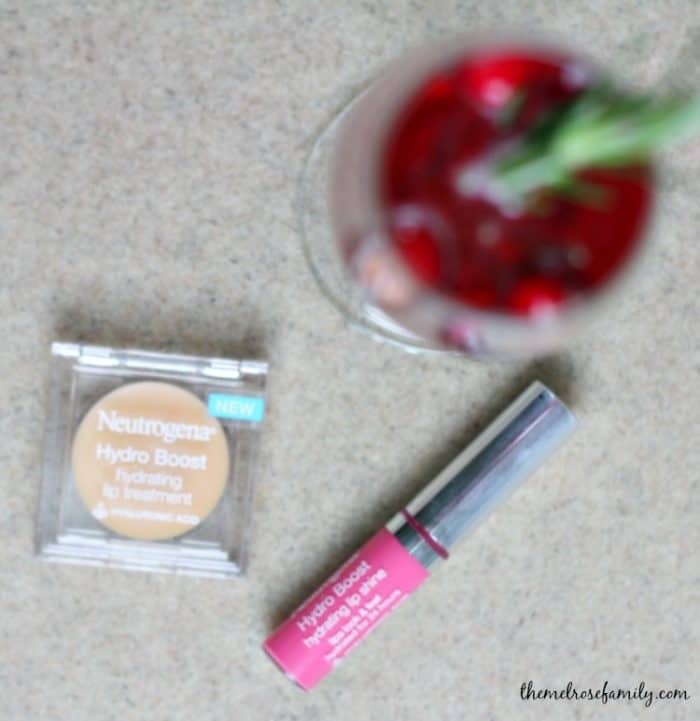 Luckily, this year I’ll be combatting and protecting my skin from the winter elements with Neutrogena NEW Hydro Boost line of cosmetics. The hydrating serum is one of my favorites because it goes on just like moisturizer without leaving my skin feeling like it is bogged down in lotion. It is light and hydrates my skin throughout the day. I’m also a huge fan of the Hydro Boost Hydrating Tint. It doesn’t cake onto my skin and it gives me a flawless look. Now, every holiday look needs to be finished off with some luscious lip color. Between the Hydrating Hydro Boost Lip Treatment and the Lip Shine, you’re covered for gorgeous lips. 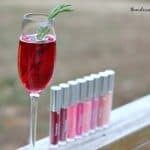 Plus, you have a little holiday shimmer to match our Cranberry Prosecco Cocktail that easily makes getting ready for that holiday party so much more enjoyable. There’s just something about a sprig of rosemary and cranberries bobbing in a flute of cranberry and prosecco that screams Christmas to me. I think it’s largely due to the popularity of my Christmas Sangria. Regardless, it’s the perfect color of red with a touch of green. Plus, it’s only two ingredients, cranberry juice and prosecco! That’s it! In a flute pour the oz of cranberry juice and then fill the glass 3/4 of the way with Prosecco. It will fizz so be careful. Top with the sprig of rosemary and cranberries.